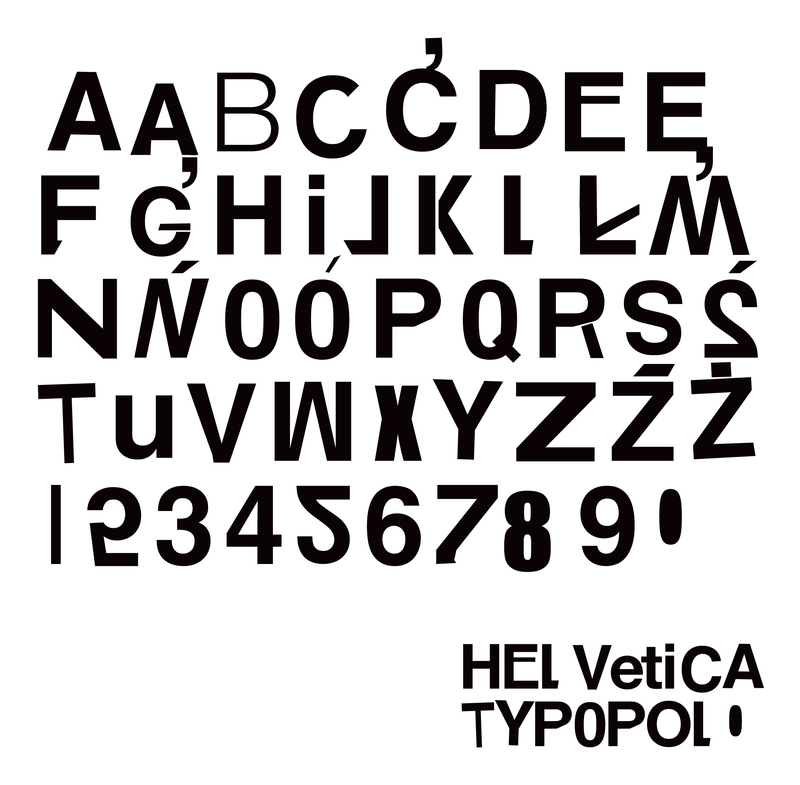 HelveticaTypoPolo, 2014 New typeface designed on the basis of distortions and errors, committed by amateurish designers creating signs for trade and commerce in the 90’s. TypoPolo is a common term used to describe the amateur typography created in Poland of the 90s for the commercial and artistic purposes. Primitive signboards and simple advertisements became a visual reflection of the economic and political changes in Poland after the fall of communism. It was a symbol of the romantic breakthrough - when a free market and a capitalist economy were born - of the times when everyone could be what he wanted to be and everything was possible. by amateurish designers creating signs for trade and commerce in the 90’s. TypoPolo is a common term used to describe the amateur typography created in Poland of the 90s for the commercial and artistic purposes. Primitive signboards and simple advertisements became a visual reflection of the economic and political changes in Poland after the fall of communism. It was a symbol of the romantic breakthrough - when a free market and a capitalist economy were born - of the times when everyone could be what he wanted to be and everything was possible.